Legends of Oz: Dorothy’s Return is a 3D-animated musical based on the adventure books by Roger Stanton Baum, the great-grandson of L. Frank Baum. 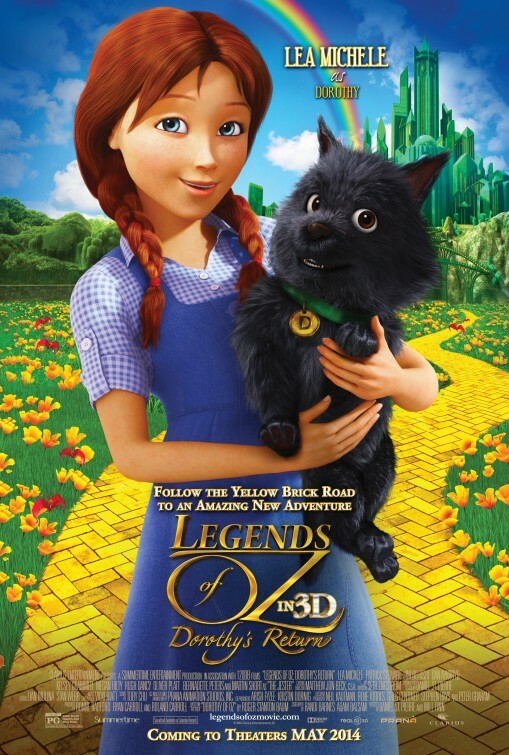 A continuation of one of the world’s most popular and beloved fairy tales, Legends of Oz finds Dorothy (Lea Michele) waking to post-tornado Kansas, only to be whisked back to Oz to try to save her old friends the Scarecrow (Dan Aykroyd), the Lion (Jim Belushi), the Tin Man (Kelsey Grammer) and Glinda (Bernadette Peters) from a devious new villain, the Jester (Martin Short). Wiser the owl (Oliver Platt), Marshal Mallow (Hugh Dancy), China Princess (Megan Hilty) and Tugg the tugboat (Patrick Stewart) join Dorothy on her latest magical journey through the colorful landscape of Oz to restore order and happiness to Emerald City. Set to the tunes of Academy Award-nominated singer/songwriter Bryan Adams, Legends of Oz marks a charming, family-friendly return to the Oz franchise. At first glance this pic looks much more like a direct-to-DVD kid’s movie than anything approaching feature film. Mom and Dad, it’s deserves a second look. 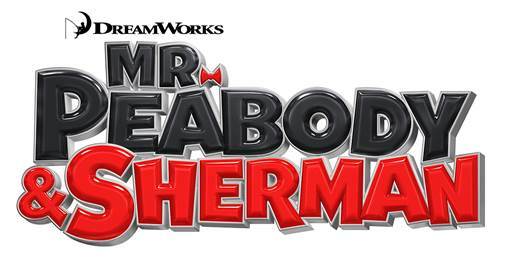 This is a fun animated film voiced by recognizable stars. Its rambunctious good vs. evil tale is populated with kid-friendly marshmallow soldiers and sentient saplings. Even its darker moments, they are brightened up by Martin Short’s bad-guy-with-a-touch-of-silly delivery. Legends of Oz: Dorothy’s Return offers sunny songs to hum to, sad moments to sigh over and and a happy ending that exchanges yesterday’s wispy wishes somewhere over a rainbow for a smile-worthy dose of loyal friendship, solid choices and working together for the common good. Inspired by the true story of Pinchas Rosenbaum, Walking With the Enemy begins in the final months of World War II. The Nazis are desperately trying to enact their genocide against Jews in Hungary, who had been protected from persecution until their leader Regent Horthy, played by Sir Ben Kingsley, was forced to bow to the will of Hitler and Eichmann. Hoping to find his displaced family and avoid being placed in a labor camp, young Elek Cohen, played by Jonas Armstrong, undertakes extraordinary measures to survive, using a stolen uniform to pose as a Nazi officer so that he can reroute Jews to safety and disrupt the activities of the German occupiers. Walking With the Enemy is gut wrenching. It is difficult to watch, yet it is important to watch. If we fail to comprehend our history, we are doomed to repeat it. Elek Cohen shows how self-sacrifice to save others is the highest form of love. Today, The Nut Job comes to BluRay, DVD and Digital HD, starring Will Arnett as Surly, a mischievous squirrel who will stop at nothing to prove himself, at the same time he learns along the way about commitment, sacrifice and what it means to be a true friend. Surly the squirrel has it all planned out. With the help of his generally useless and silent rat-partner-in-crime, Buddy, food for winter without all the work is all but theirs. They simply have to slip down to the hot-nuts vendor cart that just showed up on the corner, create a small distraction and make off with all the delicious morsels a thieving rodent duo could ever want. Unfortunately for Surley, the Raccoon and his friends aren’t happy about this. 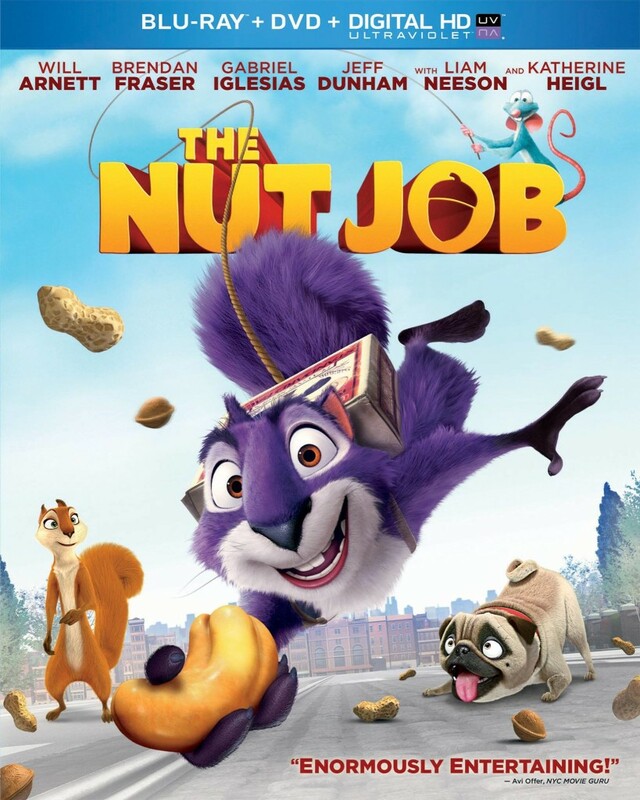 The Nut Job has colorful and vibrant animation, and it showcases an all-star cast including Brendan Fraser, Liam Neeson and Katherine Heigl. The Nut Job comes to Blu-ray 3D and Blu-ray Combo Pack including Blu-ray, DVD, & DIGITAL HD with UltraViolet as well as On Demand, from Universal Studios Home Entertainment. The film will also be available on DIGITAL HD. 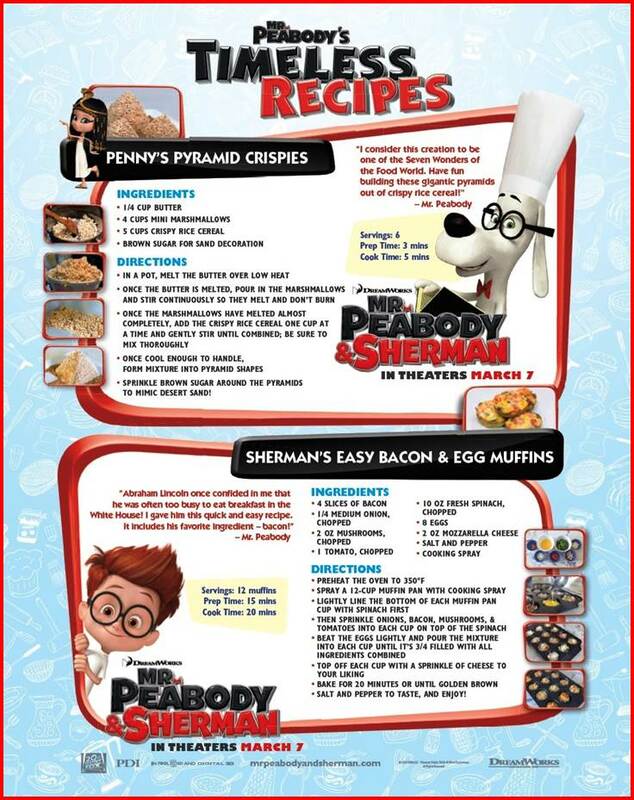 Be sure to make it part of your family’s home entertainment collection! 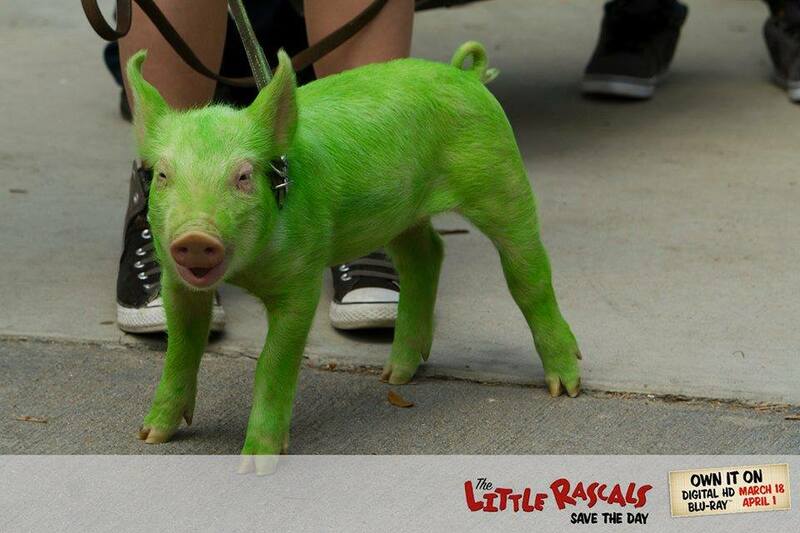 The Little Rascals are back! The beloved comedy series from the earliest days of film featured the wild adventures of Spanky, Alfalfa, Darla, Buckwheat, their dog Petey, and the rest of the gang. 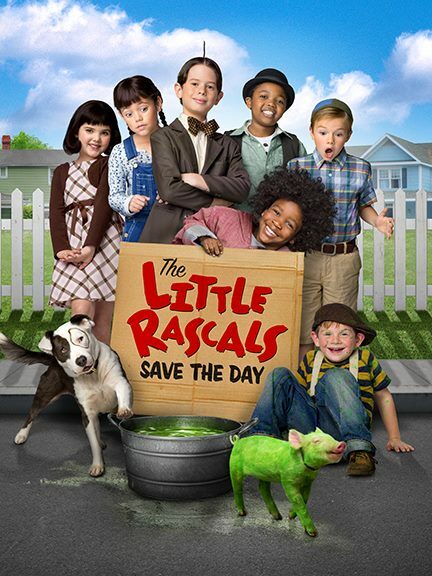 On April 1, 2014, the all-new story The Little Rascals Save the Day will be released on DVD/Blu-Ray featuring Doris Roberts of “Everyone Loves Raymond” as Grandma. My kids, ages 7 to 8, laughed at The Little Rascals, whose highly imaginative approach to the world around them is exemplified in inventive gadgets and contraptions…well, with a few mistakes, too. 😉 The acting is not necessarily award-winning, BUT I realize that my kids are not film-critics, too. In The Little Rascals Save the Day, my daughter loved how they raised money to keep Grandma’s bakery from the bank, who wanted to destroy it. Each of their plans goes hilariously awry, to quote my son, “The best part of the movie is when they turned a pig green.” 🙂 The movie extols the value of friendship, leadership, teamwork, fair play and “lending a helping hand to those in need.” I recommend this movie for kids ages three (3) to eight (8). The Little Rascals Save the Day arrives on Blu-ray Combo Pack including Blu-ray, DVD, & DIGITAL HD with UltraViolet next Tuesday, April 1, 2014, from Universal Studios Home Entertainment. Can’t wait? The Little Rascals Save the Day is also be available on DIGITAL HD right now! 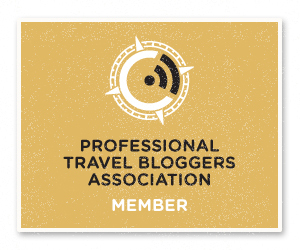 These past few months, I have been honored to be a YesVideo Storyteller, their ambassador program. 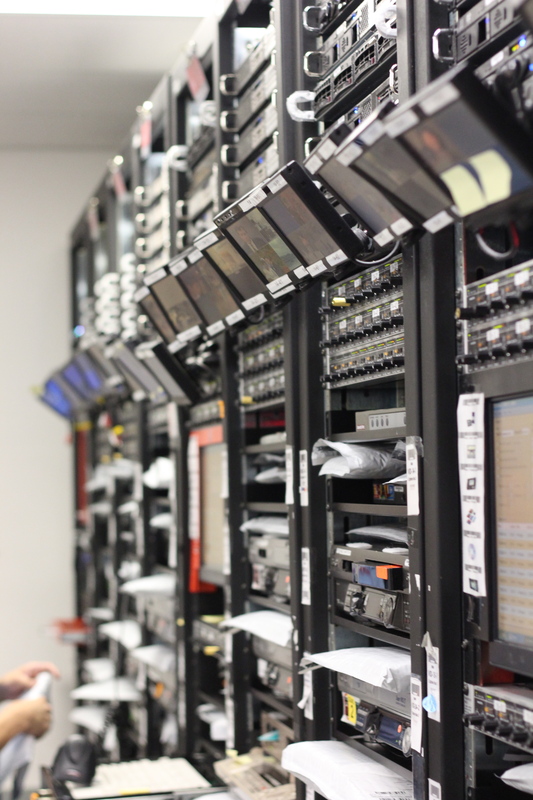 Part of the benefits of being a “Storyteller” is traveling to their headquarters in Santa Clara, California, and take a tour of their facilities. Since 1999, YesVideo has been providing services and programs for families to protect and share generations of memories. They believe in designing products that our own families would enjoy and building processes that we would trust to handle our own irreplaceable memories. First, they started out by mailing customers CD-ROMs, then moved toward mailing DVDs and now making it easy to share the memories via email, Facebook, Instagram, Twitter and NOW even EMBED VIDEOS on your blog. Along with mailing in your “memories,” you can go into a retail drop-off location like Costco and pick up your “stories” within a few weeks. Then, it moves to editing, where they use an algorithm to make chapters in “your stories.” Each chapter a picture is grabbed to be put on your DVD cover. Then, the edited videos are burnt on your DVD and placed in the YesVideo Cloud. Did you know that YesVideo has the greatest number of VHS players than anywhere in the world?! If you want to donate yours, they are always accepting more. 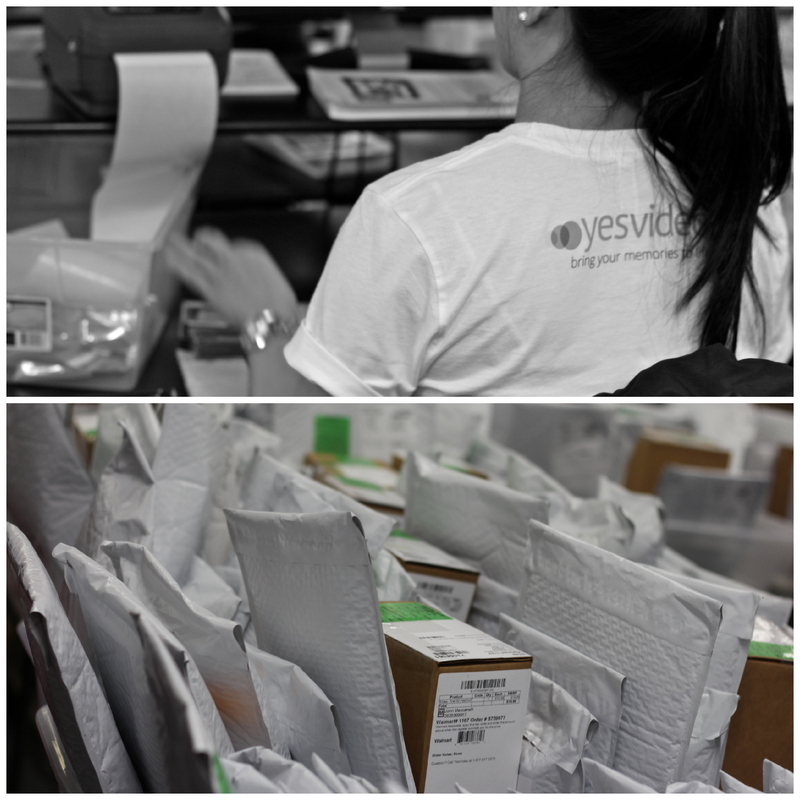 😉 During the last step called “Order Fulfillment,” YesVideo brings up your order record and the system lists all of the items that correspond to your order. This list consists includes your original media, DVD disks and cover sheets for the DVDs. 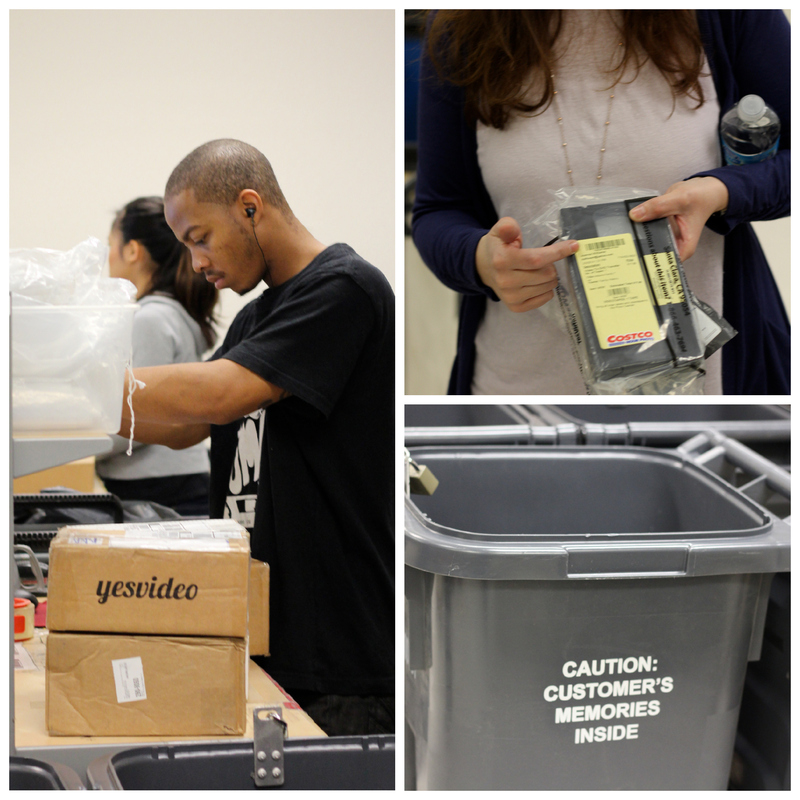 We complete the inventory of your order by scanning the barcode on each item in your order. 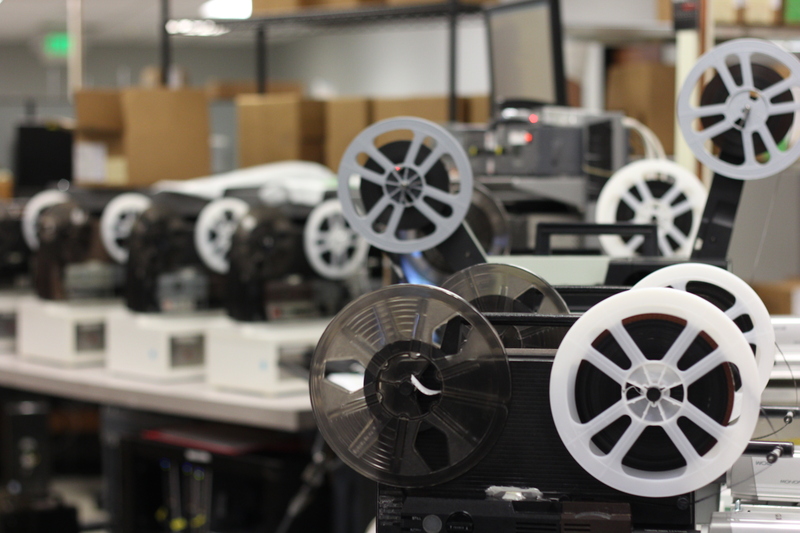 This ensures that we have the correct DVDs matching to each piece of original media. Once YesVideo has fulfilled and sealed your order, it is boxed up and shipped back to you via UPS. I personally want to thank the great YesVideo host and hostess of the mostest, Eber Legarreta and Sharleen Reyes. You know how to show people great food and fun places in the Bay area. I also want to thank CEO Michael Chang and VP of Operations Lisa McCabe for taking time out of their busy schedules to show us what makes YesVideo the place where the world should be bring their Family Videos. Thank you! This is the first post of my STORIES OF MY LIFE series. It makes sense, too, because if this had never happened to me, then I wouldn’t be who I am today. I hope the stories give you hope, inspire you to do things you wouldn’t do and encourage never give up. I remember that day vividly. The day that my doctor walked into the exam room and said that I would likely not have babies. I was 20, and I was just diagnosed with endometriosis. My heart sank, and a dream crushed. A few years later when I was seriously dating a man, I was completely transparent. I told him that I loved him, but I was unable to have children. He looked at me, and he said what I needed to hear, “Jennifer, I love you just the way you are.” He would soon become my husband. Fast forward to the fall of 2003. I was late. What?! In disbelief, I took a test. Positive. I went to the doctor, who confirmed that I was, in fact, pregnant. I was sooo excited that I screamed from the rooftops that we were going to have a baby. Then came New Year’s Eve, we were celebrating at our neighbor’s house when my stomach began cramping. 12 weeks pregnant, and we lost our first child the following day. Our hearts sank, and our dream crushed. I am so thankful that my husband recorded this special moment above. This video captures the beginning of the “Real Posh Mom.” Well, maybe not sooo posh, but it doesn’t get any more real than birth, right?! 😉 I have to admit that I actually never watched this until YesVideo transferred my MiniDV tape into a DVD. One of the greatest parts was watching this with Jadyn. She could see by my expression how much I love her. Thank you, YesVideo, for helping me share my daughter’s birth story. Disclosure: YesVideo has selected me to be their ambassador, which includes compensation. This post was not reviewed by a 3rd party. All opinions are mine and may not reflect those of the company. I am disclosing this in accordance with the Federal Trade Commission’s 16 CFR, Part 255: “Guides Concerning the Use of Endorsements and Testimonials in Advertising.” All photos are mine and subject to copyright. Remember When You Resolved to Get Organized? As a YesVideo Storyteller, I am give the opportunity to review its transfer service, which couldn’t have been easier to use. 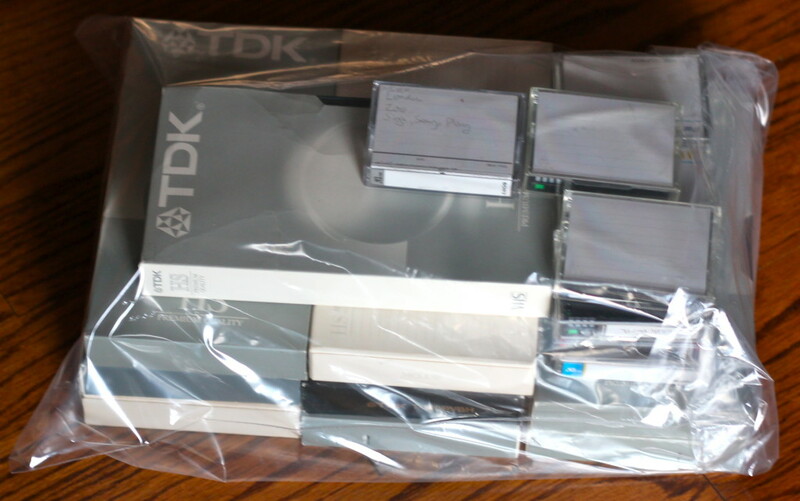 Personally, I think the hardest part of the process was for me to find all my VHS and miniDV tapes. I have been in a constant state of moving, which means a lot of my “personal yet archaic belongings” are in boxes labeled “Office.” Sorry…I digress. I found them all, and so begins my mystery. I have NO IDEA what are on these tapes. Ooh, I am getting excited. I logged on to YesVideo and clicked the “Order Now” button. 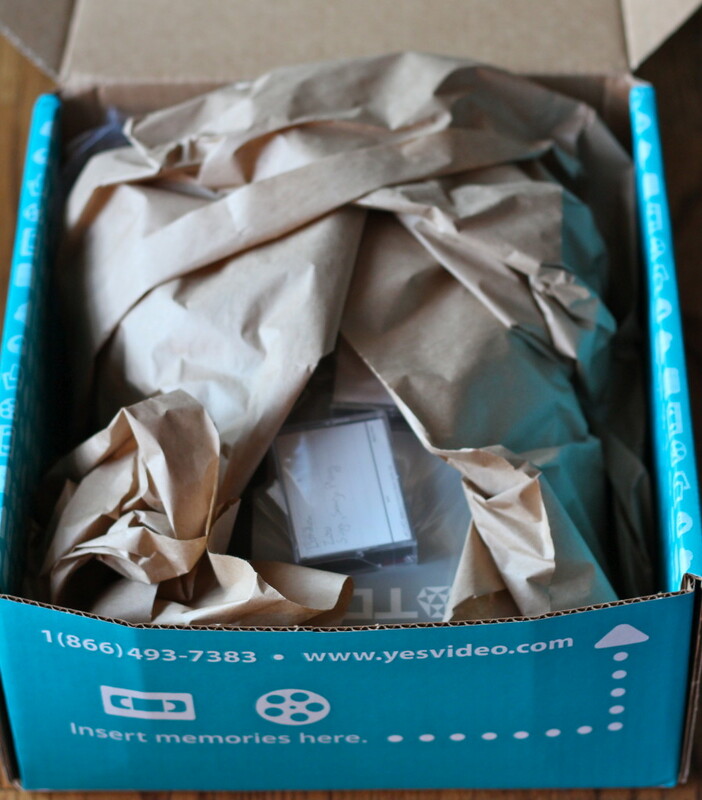 I chose to ship my items directly to YesVideo, but they also have a service where you can drop items off at retailers such as CVS, Walgreens, Walmart, Costco and many more. A couple days later, UPS dropped off EasyShip Kit with all the packing materials that I needed including the preprinted packing slip. I drop it off at my local UPS store, and that’s all. It was so easy! One week later, I received an email confirmation that my order had been received. Oh, the excitement is growing and so is my suspense in knowing what was on my tapes. I received another email within a couple week telling me that my order was complete. At that time, I could go online to view the digitized videos! YesVideo also sent an email informing me that my order had shipped. The mystery is about to be solved! I grabbed a cup of coffee and a cookies, and I logged into my YesVideo account to see what were on the tapes. And, as soon as I began watching, I remembered, Oh, and I teared up with joy at all the sweet memories of life. The videos werre in excellent condition. My daughter heard familiar sounds and joined me as we viewed this personal story of our lives. 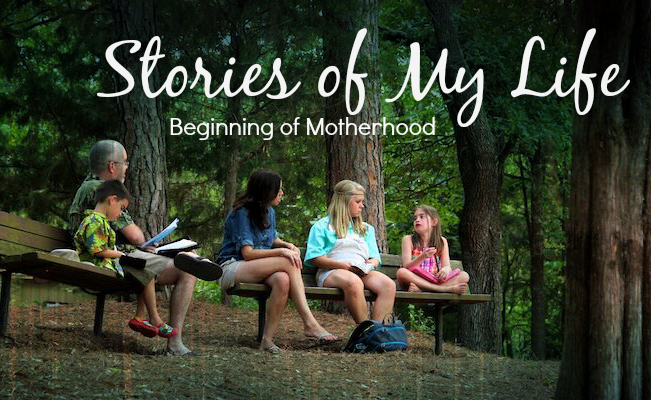 In the next couple of months, I will share some of these special “stories” with you and why they made us laugh and cry in a series called “Stories of My Life.” I hope you enjoy this personal series and the videos that accompany it. 🙂 Why should old videos should be converted to digital? The footage from videotape no longer breaks down. Videos become easy to watch. DVD menus with chapter pictures mean no more fast-forwarding or rewinding! VCRs and old projectors are no longer needed. Your memories are organized into a neat library of DVDs and digitally on MemorySafe. Are you ready to try out the YesVideo Transfer Service? Then, join 7 million other families who have trusted YesVideo by going to their site YesVideo. Connect on Twitter, Facebook and Instagram too! Unlike your old vinyl record collection, those VHS tapes you stored away in the back of your closet or in boxes aren’t going to see a comeback in popularity. There are no videophiles celebrating the superior experience and devotion of these analog tapes. No, VHS is a dying commonplace that fully deserves to be put in its grave. But, don’t just throw away your videotapes or reels yet. Why not modernize those them into digital copy?! 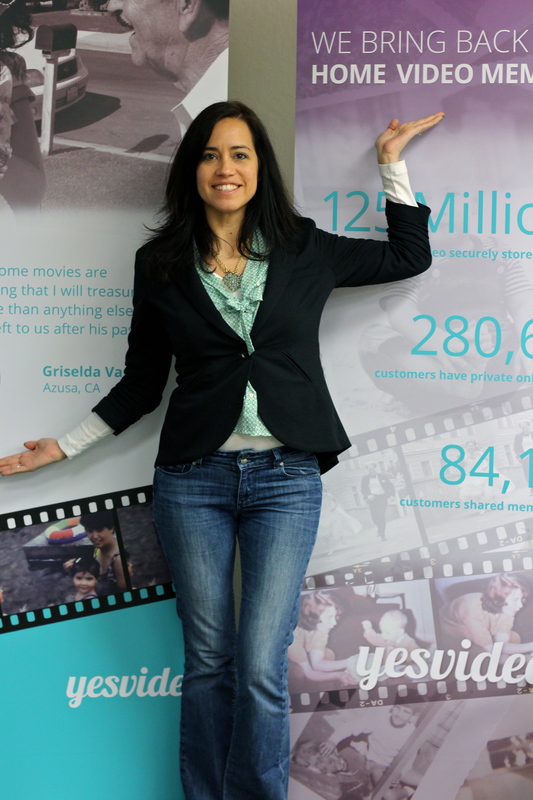 Let me introduce you to YesVideo! For 15 years, YesVideo has helped families protect and share generations of memories, and they are now the largest and most trusted home movies transfer service worldwide. My family is preparing for a BIG MOVE soon, and I am preparing by downsizing and decluttering. YesVideo is the perfect service for us, so my family can relive those special moments forever, from here or abroad! 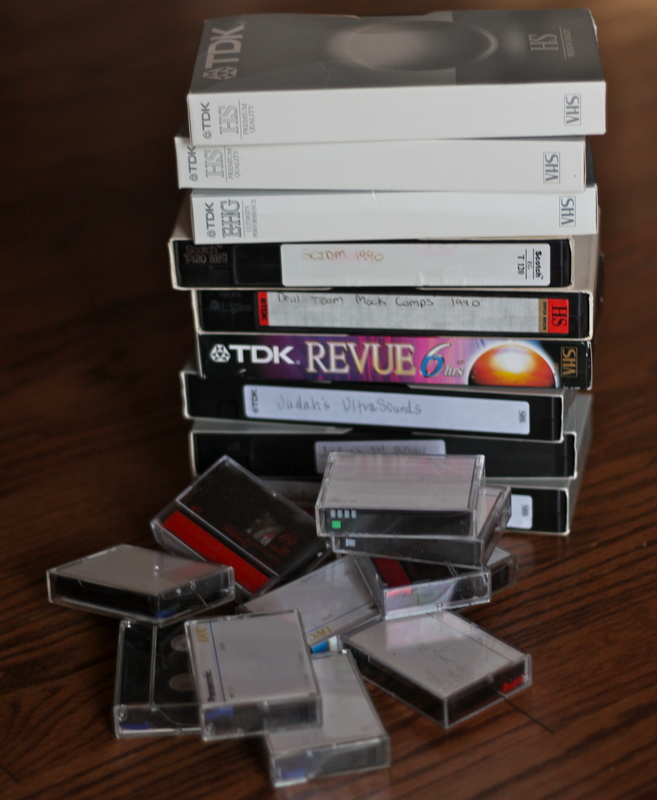 Let’s take a moment to archive any sentimental home movies you still have on tape. Honestly, those really should be the only VHS tapes you’re still holding on to. Whatever horrible ’80s sitcom you taped religiously has since been reissued in crisp digital detail, so don’t waste your time (or possibly break the law) by recording it to your computer. 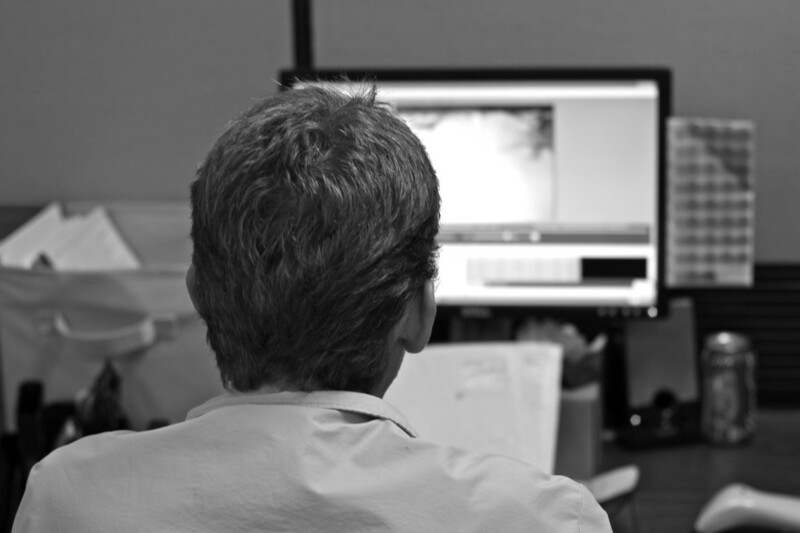 YesVideo has made the process of transferring those home movies over to your computer SIMPLE. 2. 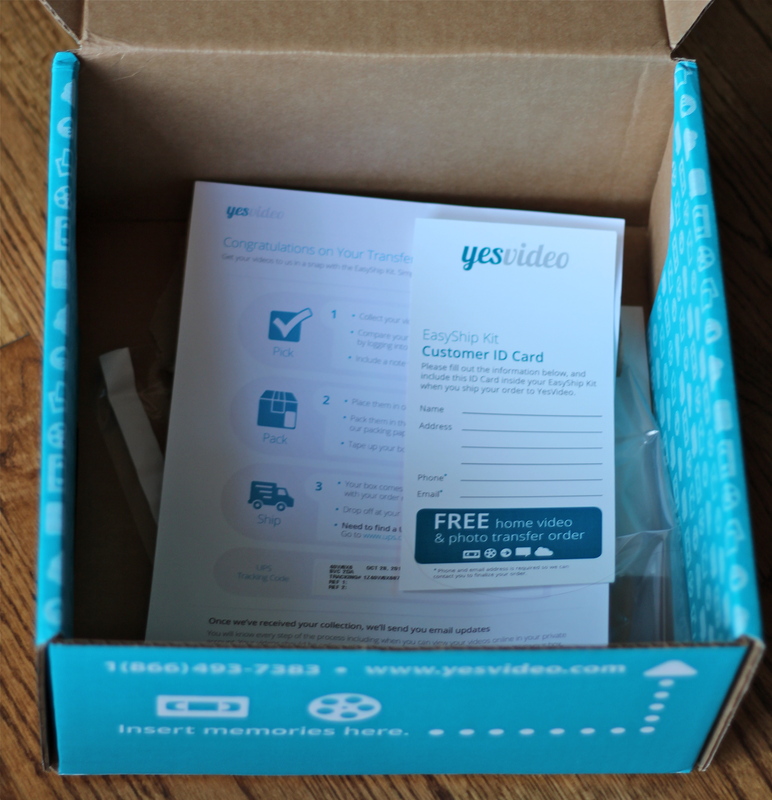 YesVideo will mail you their EasyShip Kit. 3. Open the EasyShip Kit. Fill out the Customer ID card enclosed in the kit. 4. Include the Customer ID card and videotapes or film reels inside the kit. 5. Tape & seal the box on all sides. 6. Drop off at your nearest UPS dropoff location. 7. 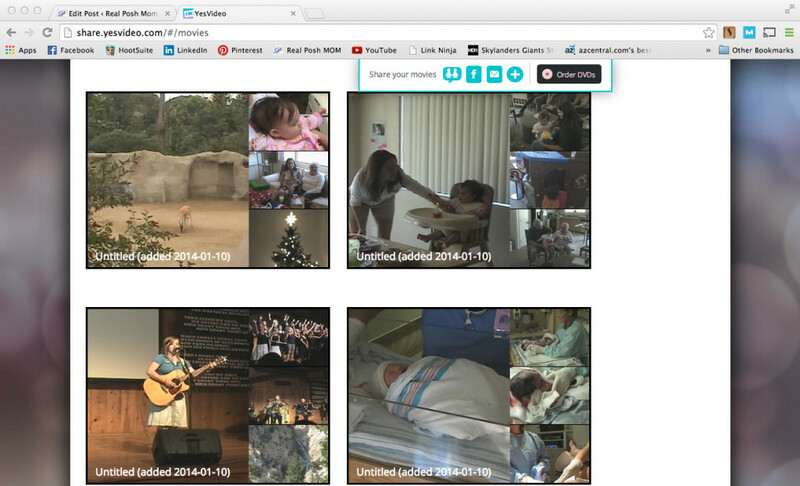 With 15-day turnaround, watch, share and edit your home movies online with free storage. 8. Choose and edit the scenes you want into your own masterpiece. Travel to Middle Earth with Frodo and the rest of the fellowship for a LIVE concert on November 8-10, 2013. 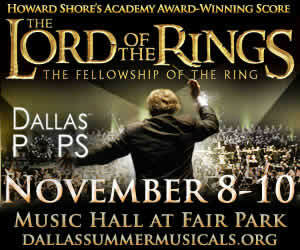 Join my family, thanks to the Dallas Summer Musicals, as we see the Dallas POPS perform the entire Howard Shore’s score for Lord of the Rings-The Fellowship of the Ring with the full movie projected on a larger than life screen. My whole family is SOOO excited to experience one of our favorite movies in a completely new way! This one-of-a-kind concert event includes the Dallas POPS, 150 person chorus, full movie and more. The concerts will take place at the Music Hall at Fair Park on November 8-10, 2013. 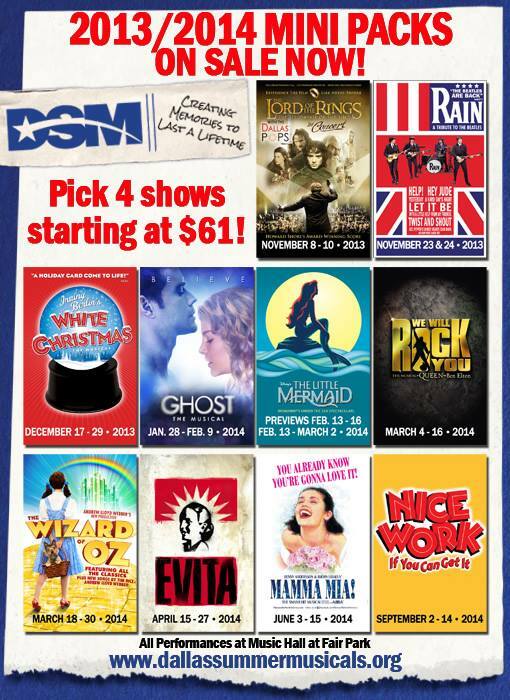 Buy your tickets here.